Consumers are conducting most of their browsing and shopping online on multiple devices with the expectation that the content they view on one device will be the same on another. AutoDealerWebsites powered by AutoRevolution goes above and beyond the typical responsive website by offering customizations tailored to the specific needs of each customer’s unique online marketing approach. You ask, we deliver. It’s that simple! Have a Question About This Feature? Ask Us About It Today. Consumers are increasingly spending a larger percentage on their time online on mobile devices. According to a 2015 study, more than half of all internet use happens on mobile phones or tablets. 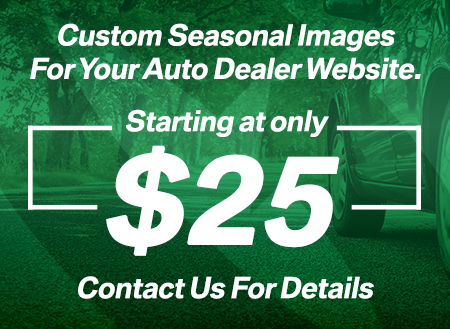 Having a dealership website that is functional, eye-catching, and professional across all devices can be the difference that sets your dealership apart. Establishing an online environment is the first step in establishing trust with any prospective customers, and will generate more leads. Rather than relying on a separate mobile site, responsive design changes the layout of your site depending on the device that it's viewed on. That means all your sites visitors can expect the same content regardless of the device they're viewing it on. Responsive design also can help your website list higher on search engines like Google. Google and others value the use of responsive design because it makes the browsing process easier on the customer. Having a responsive site makes your inventory available anywhere. Easy-to-use form increase the chance of getting a solid lead from an otherwise casual customer. Customers can view specific vehicle information right on the lot and make informed decisions on-the-spot.